The Alberta Liberals announced Sunday that if elected, they would introduce a host of reforms to the government body responsible for liquor and cannabis rules. The Alberta Liberals announced Sunday that if elected, they would introduce a host of reforms to the government agency responsible for liquor and cannabis rules. At a media event in Calgary Sunday, Alberta Liberal Leader David Khan said that his party would reform Alberta Gaming, Liquor and Cannabis (AGLC) in a way that would grow business and create better lifestyle choices for Albertans. "AGLC is a restrictive government monopoly. We will give Albertans more freedom and fun," Khan said. He took aim at the AGLC, calling its model archaic, arbitrary and restrictive. 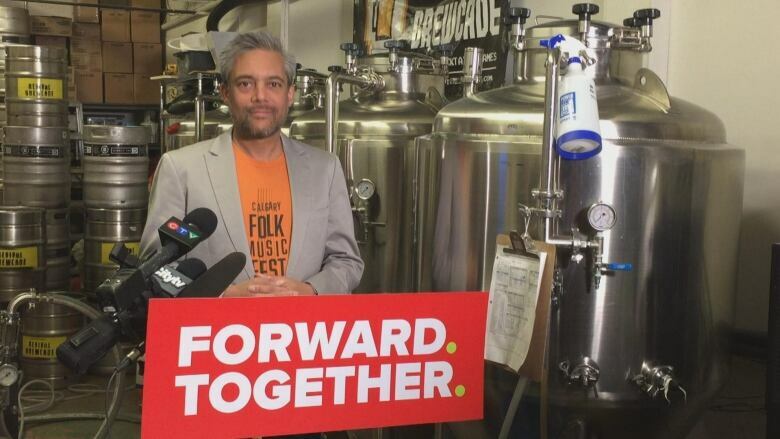 Under a Liberal government, Khan said the province would see fewer restrictions on alcohol sales and consumption, and people would be able to consume liquor at festivals, picnics, and public parks. "We will also lift restrictions on breweries to make them more competitive. We will allow them to sell their products directly to restaurants, bars and consumers," Khan said. Khan also said that the Alberta Liberals would change the way cannabis is distributed, and instead allow cannabis retailers to find their own distributors and suppliers.